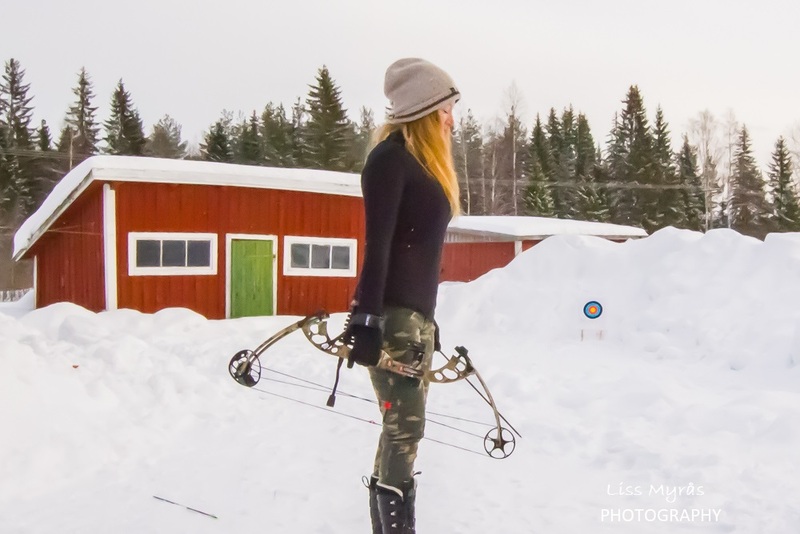 Practising with my compound bow has not been a priority lately, but after recently ordering home a very simple target board with an even simpler tree stand (4 sticks and thick styrofoam), I of course had to get out and try it out yesterday. My main hindrance for now is that when an arrow misses the target board (yeees, it happens alright!) – it hit’s the hard wood behind the target and the tip gets damaged, and composite arrows like this are pretty expensive to order. So I need to get a suitable backstop net to mount up somewhere in my backyard. Hay balls would do good right here, but are not so movable, so hey.. until then I have found an alternative temporary solution – hardpacked snow piles. 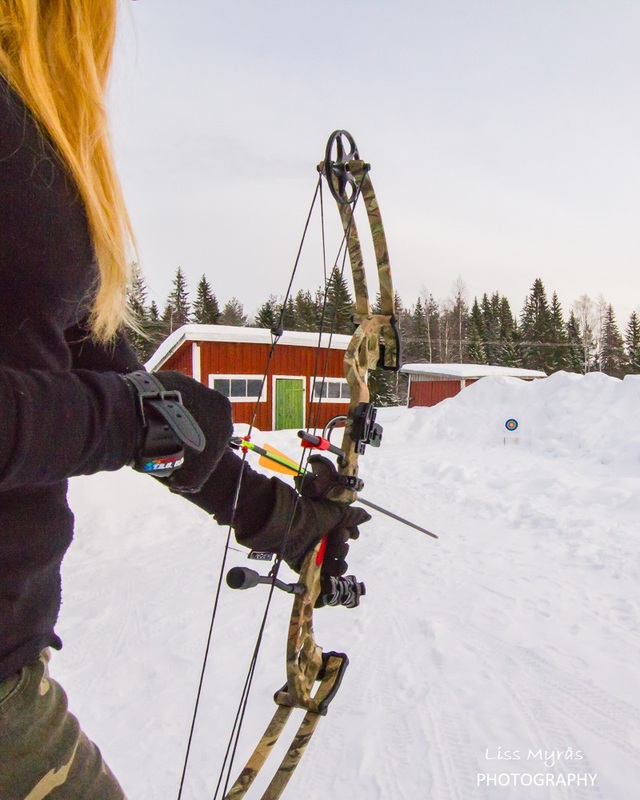 Hit the target – or find 5 arrows! 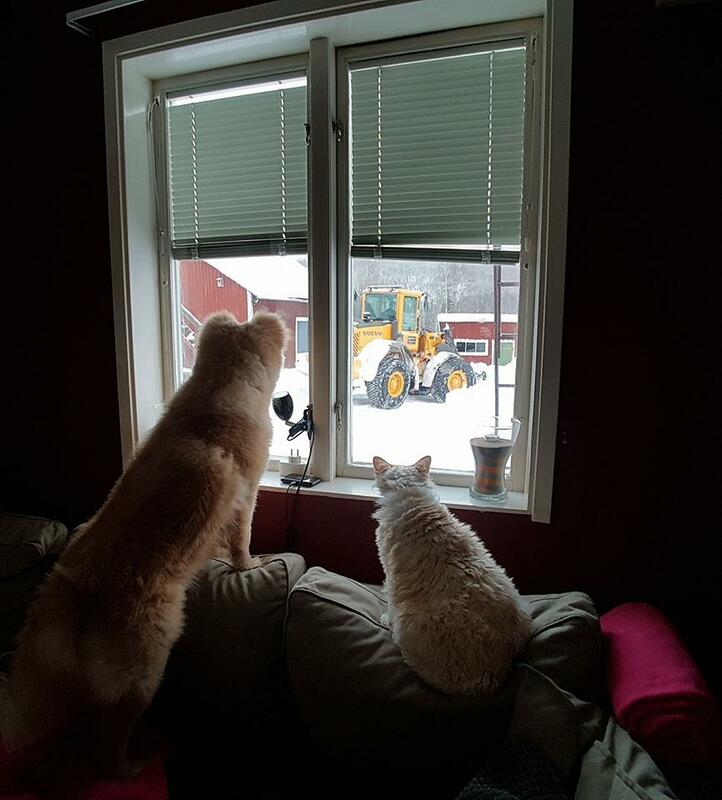 My dog and cats are probable also grateful for some help too..and very curious.. let’s bring him in for coffee! Digging for arrows in the snow piles behind the target is fine ..as long as the arrows have neon colours and screaming to be found..